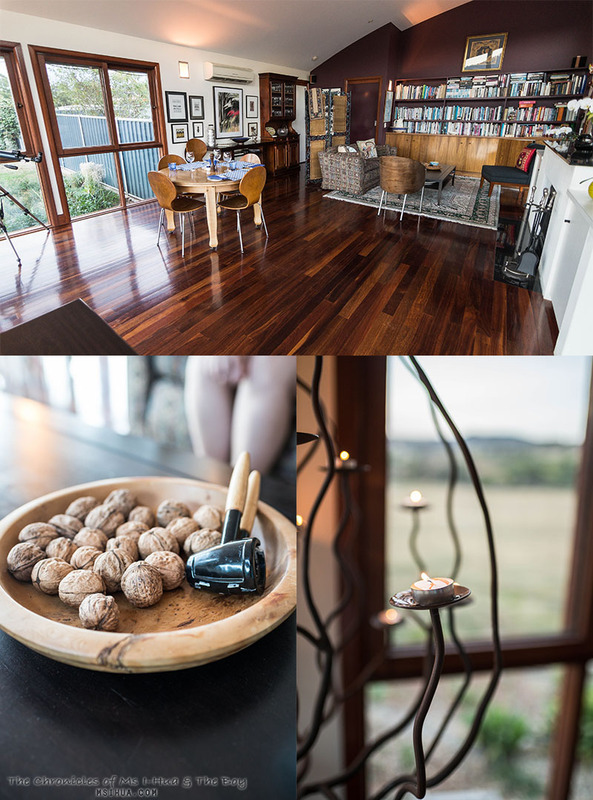 If you happen to find yourself planning a trip to visit the King Valley region up in High Country Victoria, one of the places you could check out for accommodation would be the lovely Casa Luna Gourmet Accommodation. 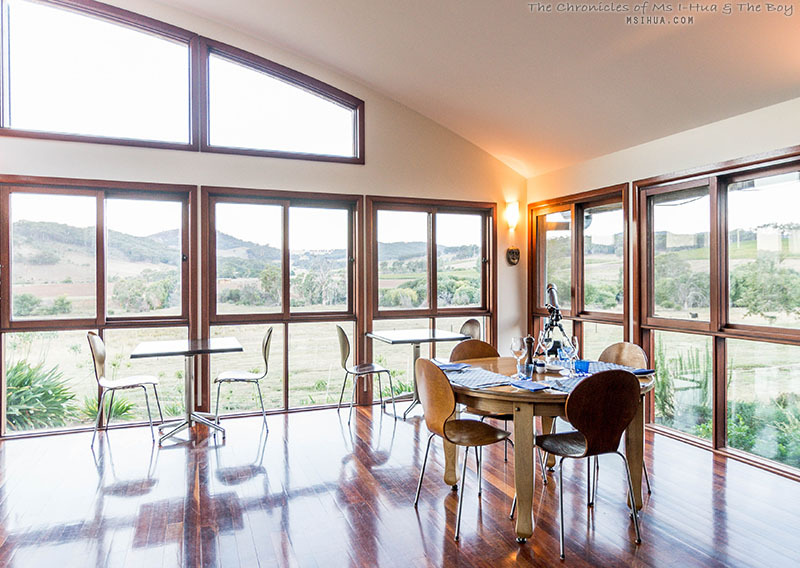 Located at Myrrhee, Casa Luna Gourmet Accommodation is hidden down a (semi) dirt road, with the back part of the accommodation overlooking a wonderful scene of a sprawling field (with cows included) and hills, forming a fantastic backdrop. Gwenda and David are the lovely couple who manage and own the accommodation. 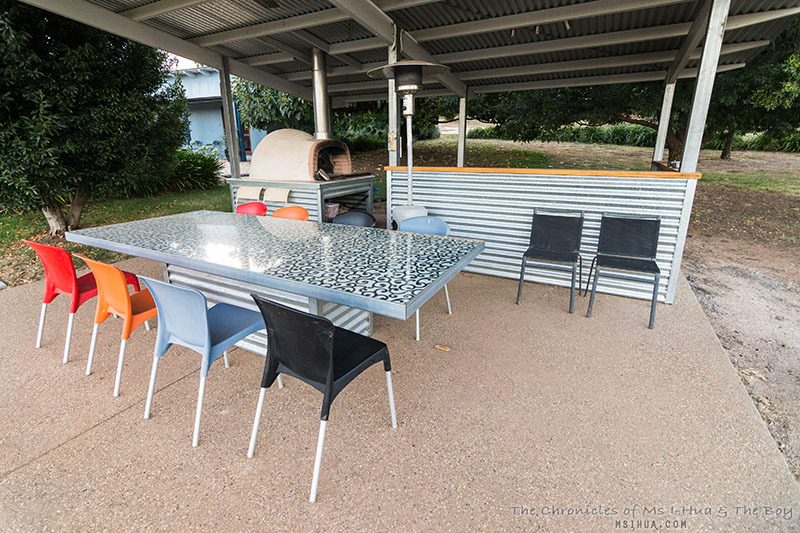 Both are delightful, unobtrusive and the perfect hosts in their home. If you have any questions or interested about the area surrounding their accommodation, David is more than ready to help you out with the information needed. 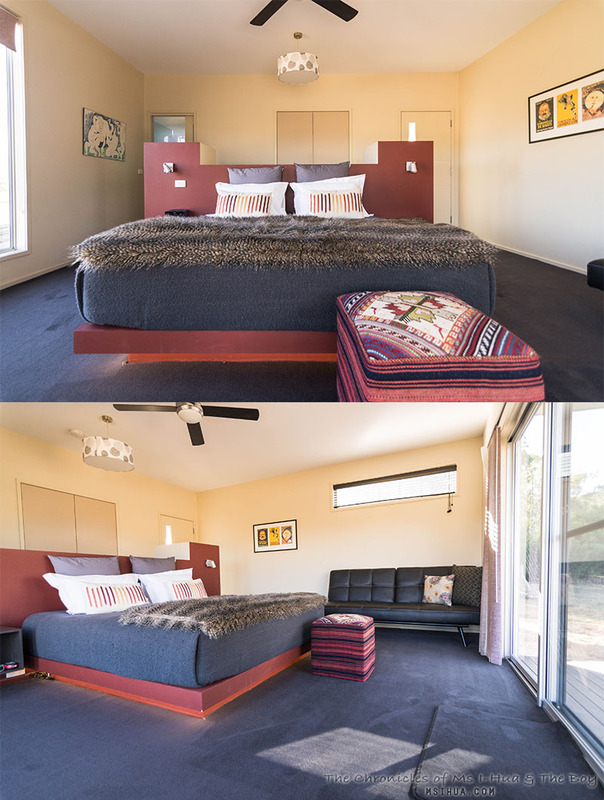 Rooms are split between a few buildings, including a separate family room area for guests to spend time together should they have rented the two King Suites together. From the King Suites, it’s only short walk to the main building, housing the kitchen and dining room, where a beautiful bookcase is located. Sit and relax, play a game of chess or read a book in the main building. Incidentally that’s the only spot where the WiFi works as well if you happen to be unable to survive without being online. The King Suites have their own private balconies, which open up to the sprawling backdrop outside. 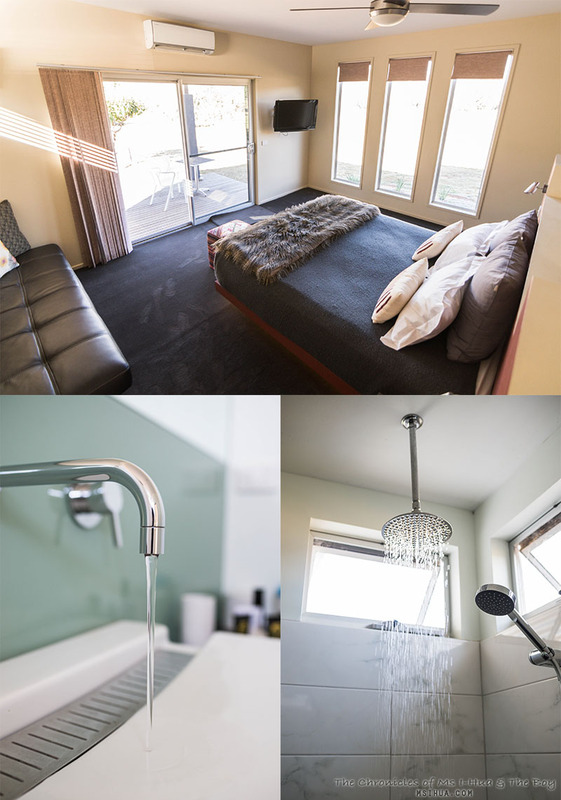 Facilities include large flat-screen TVs, TV/DVD combos, iPod docks, mood lighting, as well as luxuriously comfortable king beds with pure cotton linen, plunger coffee and Twinnings leaf tea, sparkling mineral water, waffle weave bath robes, and MOR amenities. Depending on your mood once you have checked-in, feel free to stay in and dine at the lovely venue. Both Gwenda and David are on hand to cook up delicious home-cooked fare using local produce from their own garden and surrounding area. The night we stayed over, we had a very simple but delicious penne with home-grown zucchini and cheese. it was just perfect. 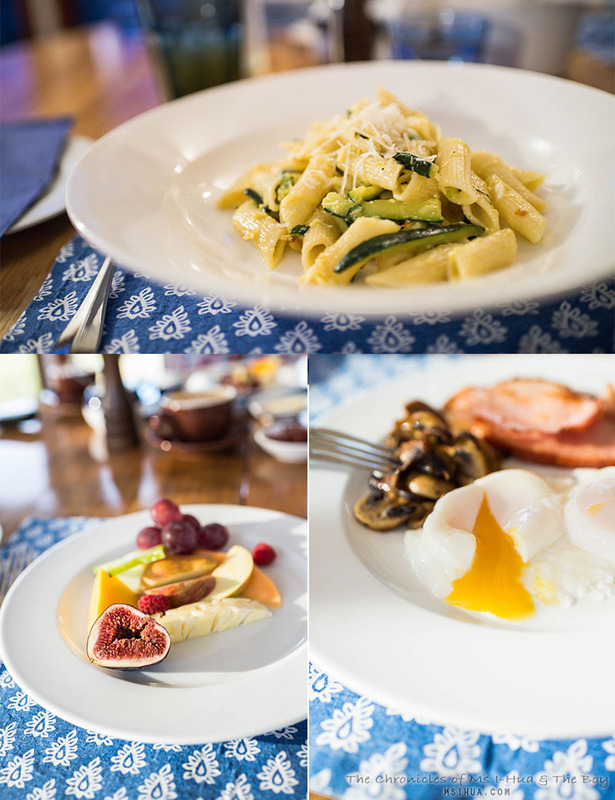 Wake up to another fabulous warm meal with breakfast cooked to order as well as fruits straight from the garden. 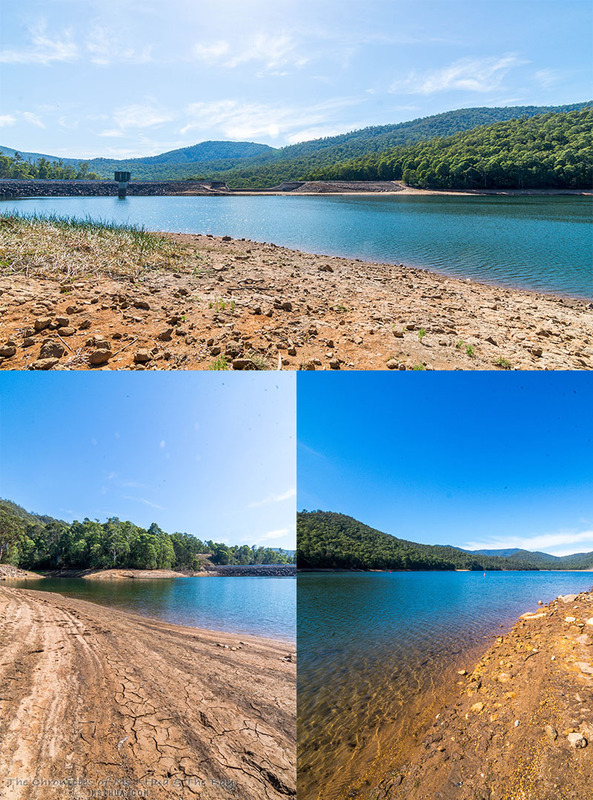 As I have mentioned in a previous post, if you are looking for another spot to visit whilst up at the King Valley region, take a drive down to Lake William Hovell. It’s just slightly past Cheshunt (about 20 minutes drive from Chrismont Winery). 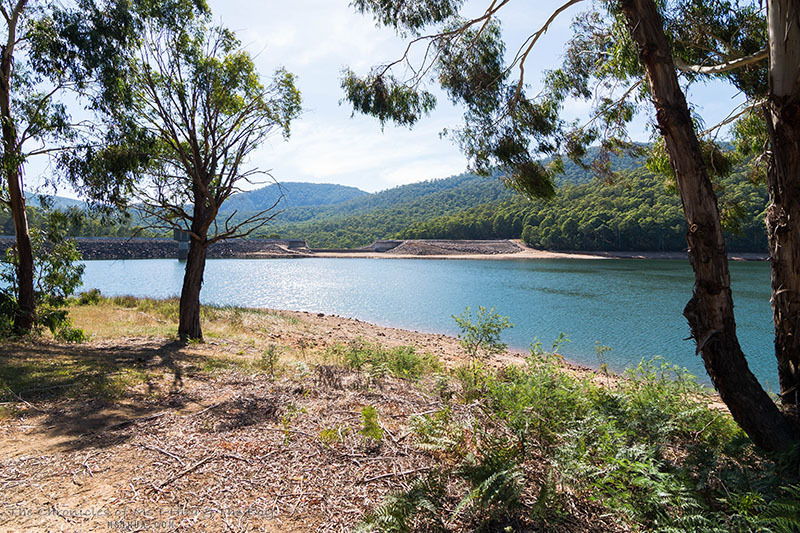 Not only is it a favourite spot for locals and tourists alike (especially in the warmer summer months), Lake William Hovell plays an important part to the region as it supplies water for irrigated crops, vineyards and grazing properties along the King River from Cheshunt to Wangaratta. 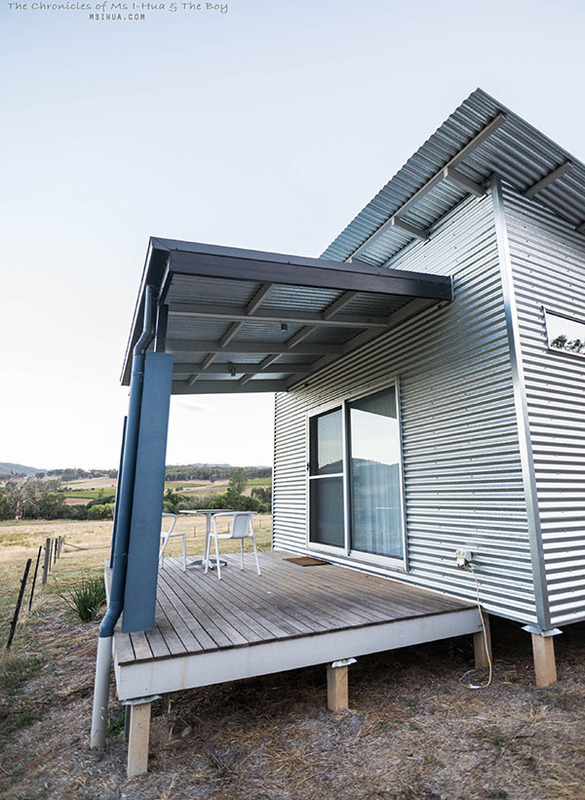 When you get to the lake, you have a range of activities to choose from, starting with relaxing at the picturesque scenery for picnics and/or BBQs, walking and hiking, fishing, canoeing and four wheel driving activities. 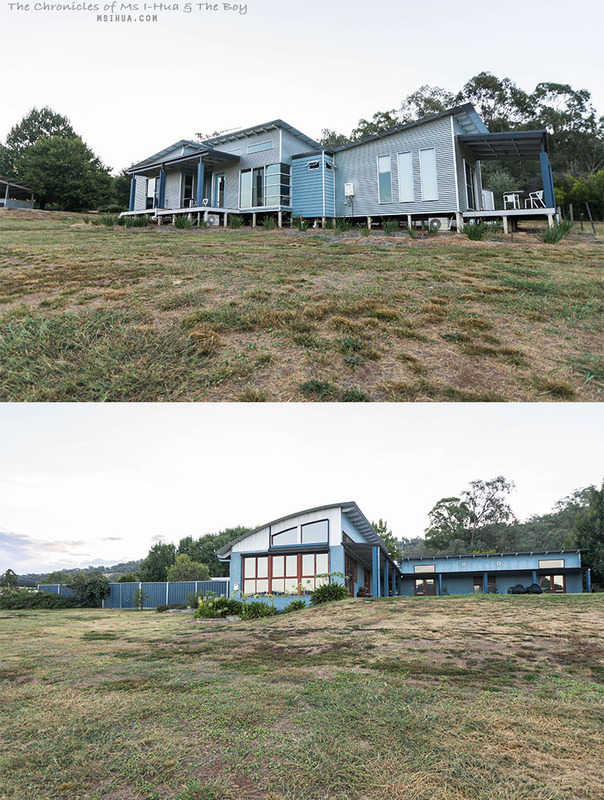 For the avid fishing expert, the lake contains trout, redfin and some macquarie perch*.